RESOLVED, that the Town Board waives the fees for use of the Albert A. Capellini Community and Cultural Center by the American Red Cross. BE IT RESOLVED, that Paul Hollopeter is being retained as a consultant for the Highway Department on an as needed / on call basis at a pay rate of $35.00 per hour. 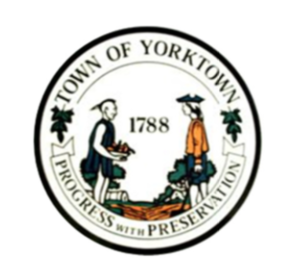 RESOLVED, that the Supervisor is authorized to sign an agreement to renew the contract between the Town of Yorktown and Constellation NewEnergy, Inc. so that the Town can continue to participate in the municipal energy program realizing reduced electric and gas utility costs. The contract will be for a two-year period commencing February 1, 2019 ending February 28, 2021. BE IT RESOLVED, the Town Board authorizes the Supervisor to sign an Event Permit Agreement with the County of Westchester for Hilltop Hanover Farm for use of the Landmarks Preservation Commission to conduct a symposium on May 8, 2019. The fee for use of the Hilltop Hanover Farm is $680.00. RESOLVED, that Carlo Minuto Carting Co., Inc., be and is hereby granted renewal of their Garbage License to service commercial properties in the Town of Yorktown for the year 2019. RESOLVED, that the Town Clerk is authorized to advertise a bid for the reconstruction of the Mohegan Avenue Retaining Wall. A motion will be made to adjourn the Town Board meeting. Americans with Disabilities Act: If you need special assistance to participate in a Town meeting or other services offered by this Town, please contact the Town Clerk’s office, (914) 962-5722, x210. Assisted listening devices are available at all meetings.